Today, June 6, 2014, marks the 70th anniversary of the Normandy Invasion, that we have come to know as D-Day. On June 6, 1944, more than 160,000 Allied troops landed along a 50-mile stretch of heavily-fortified French coastline, to fight Nazi Germany on the beaches of Normandy, France. Gen. Dwight D. Eisenhower called the operation a crusade in which, “we will accept nothing less than full victory.” More than 5,000 Ships and 13,000 aircraft supported the D-Day invasion, and by day’s end, the Allies gained a foot-hold in Continental Europe. 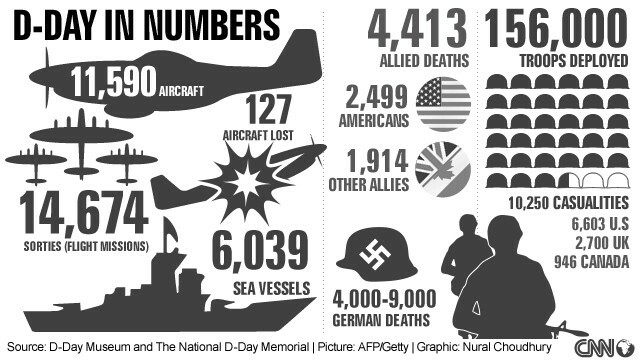 The cost in lives on D-Day was high. More than 9,000 Allied Soldiers were killed or wounded, but their sacrifice allowed more than 100,000 Soldiers to begin the slow, hard slog across Europe, to defeat Adolf Hitler’s crack troops. Today, we remain ever grateful for the sacrifices of the brave men and women that landed on the shores of Omaha Beach, and all of those who fought ever so bravely to keep the our own shores and country free… In World War II, The Great War to End All Wars, Vietnam, The Korean Conflict, Desert Shield and Storm, and in Iraqi and Enduring Freedom, and in all the wars and conflicts that our country has undertaken. So, tonight, as you crawl into your snug little sleeping bags, just for a moment, remember that 70 years ago tonight, 200,000 young men were aboard ships and planes on their way to France for you. Yes… for you. So that you and I could grow up in a world of freedom. 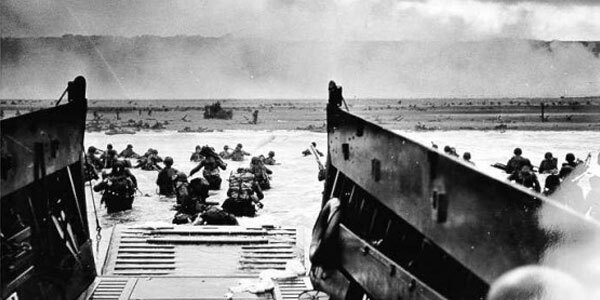 9,000 of them gave their lives 70 years ago, for us. For today. For tomorrow.